From around 2008, my dream was to be in The Saturdays, I mean it was never going to happen, I can't sing and I'm terrified of getting on stage but a girl can secretly dream. Now they're no longer a thing I religiously keep up with them all on Instagram, especially Mollie King. Who is known for having impeccable preppy style and she often posts fab outfits on her feed (examples here; 1, 2, & 3). When I saw this super cute pinafore on her I had it my basket quicker than you could blink. I think quite a few people had the same idea as this weekend I've seen it all over Instagram and I think it's sold out online. I still wanted to post this as it might be available in some shops and they could order in more soon! 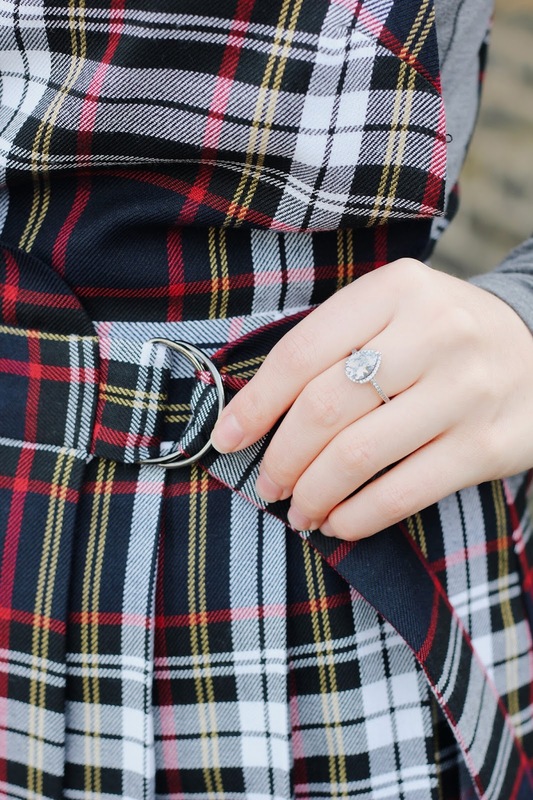 Anyway as I'm sure you've noticed by now I sort of have an obsession with Blair Waldorf's style so obviously this blog post was going to be no different. 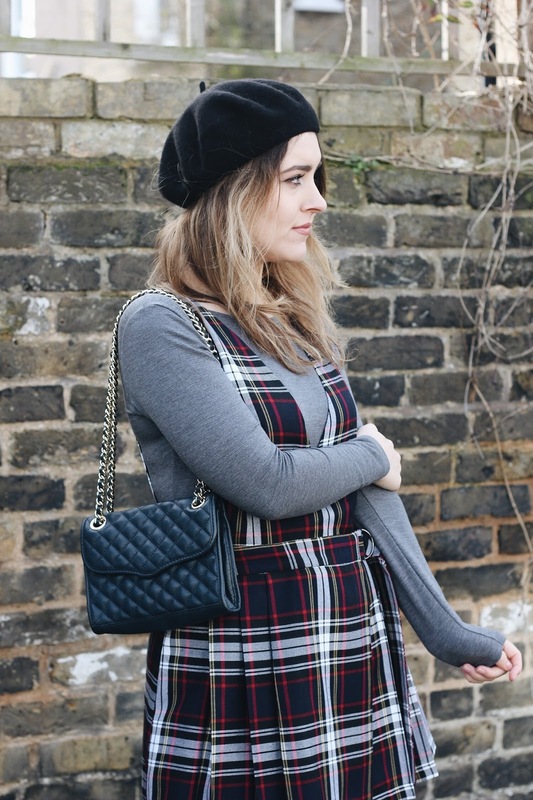 There's just something about a cute beret, checks and a quilted bag. I think it's the mix of all of the fashion capitals signature styles, or it could have something to do with watching Gossip Girl everyday?